Last summer, midi skirts were super popular, and this summer they’ve proven to be just as popular. After years of seeing what feels like millions of skater skirts, mini skirts, and maxi skirts, the midi was a pleasant surprise. 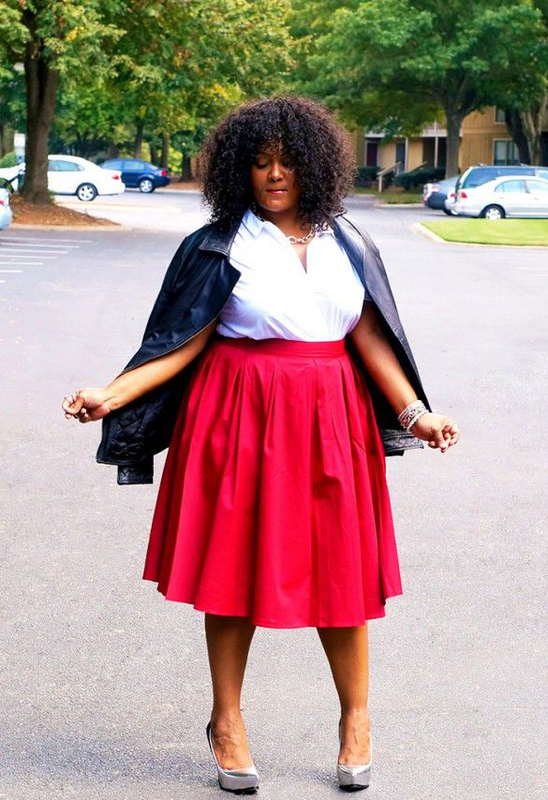 A midi skirt typically hits right below the knee, sometimes a little bit longer. It’s not tight, and it’s an easy breezy way to stay cool while still managing to look super chic. 1. Keep it simple with a tank and heeled sandals. You can’t go wrong with this look! 3. …Or you can try tying it at the waist. 4. Add a short-sleeved button down for a super glam look. 5. Wear a crop top in the same color to make it look like you’re wearing a matching set. 6. You don’t have to be dressed up when wearing a midi! It looks just as good with a worn-out tee and flat sandals at the beach. 7. Throw a leather jacket over your shoulders for air-conditioned rooms. 8. On chillier days, add a light sweater and a pretty statement necklace. 9. 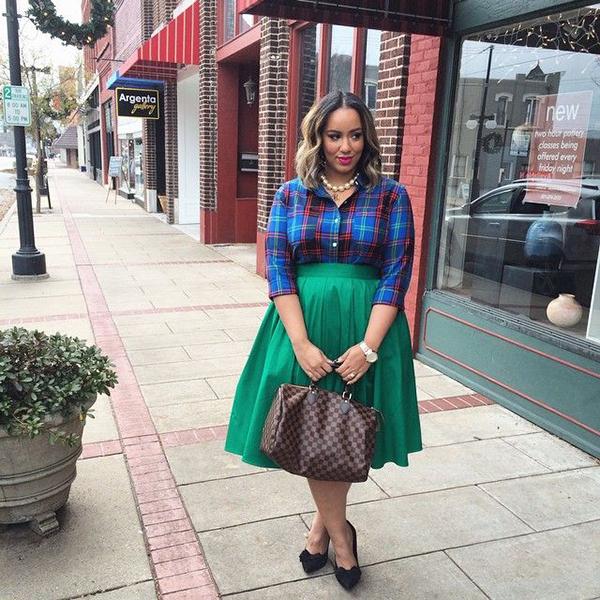 Keep a bright midi causal with a plaid shirt and flats. 10. 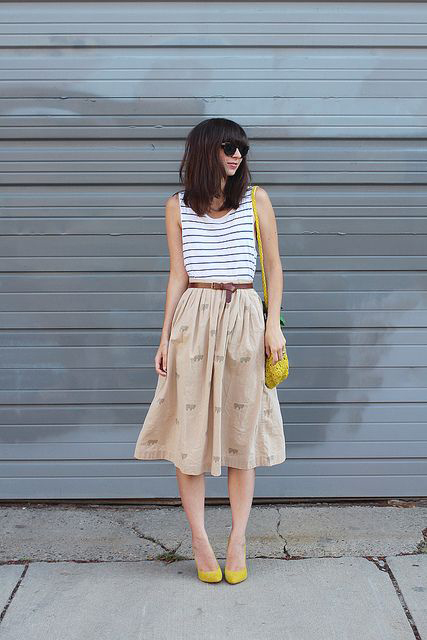 This look is perfect for summer: cropped graphic tank, a hat, white sneakers, and a midi skirt. So cute! 11. 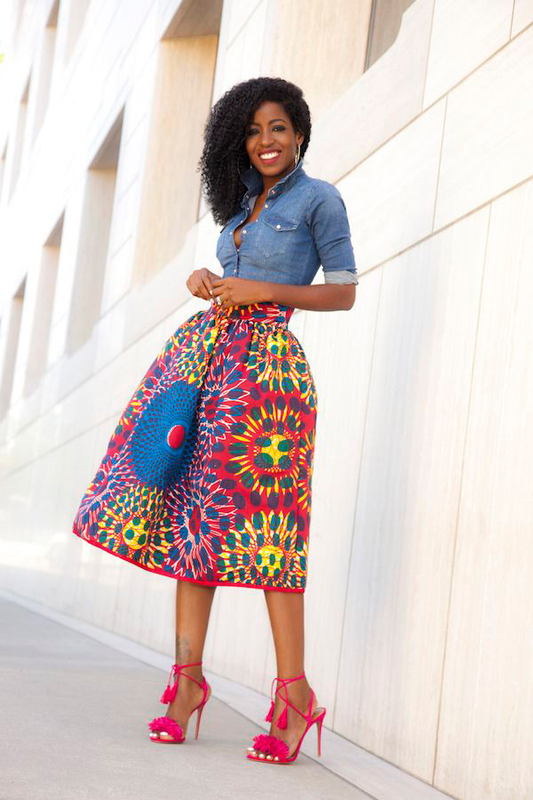 A full midi skirt tends to look more fancy. Glam it up with a tight tank and bright heels. 12. A white tee and white sneakers keep your favorite midi comfy and casual. 13. 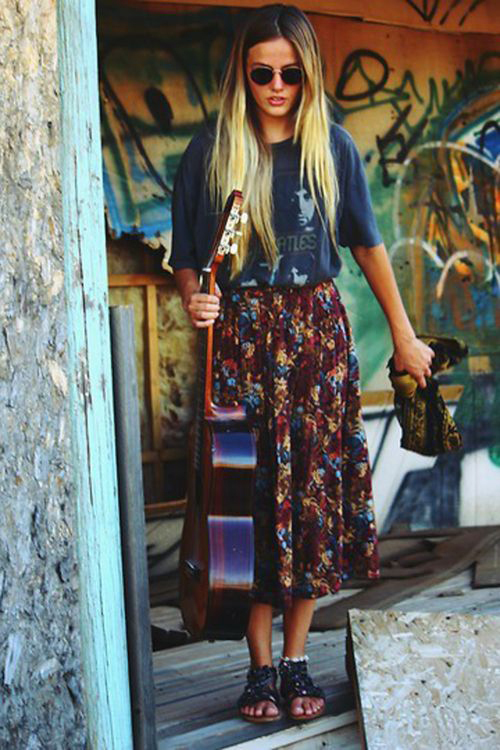 Add a graphic tee and a statement belt for a unique outfit. 14. A denim jacket is great for chillier days. 15. Keep it simple with a black t-shirt and skinny belt. 16. 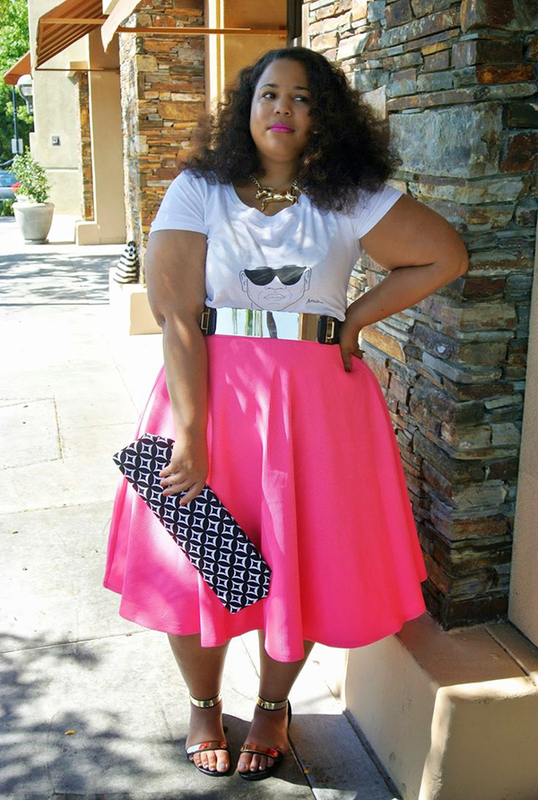 A midi skirt looks so cute with a graphic tee. Add a pair of flat sandals that are perfect for summer days. 17. Flats also look really cute with midi skirts. 18. 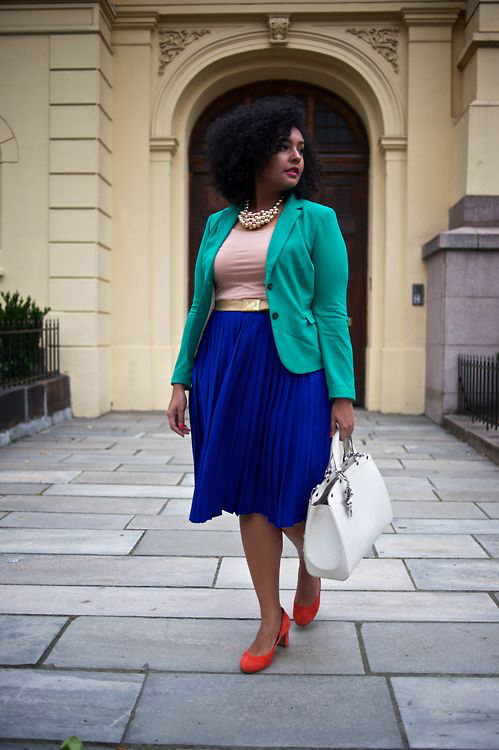 A fitted blazer makes any midi skirt look instantly professional. 19. A striped tank and bright accessories makes a simple midi skirt stick out. 20. Add a crop top – this outfit is perfect for the summer!